Ladies with oily T-zone, it's time to rejoice! Be excited to find two new cosmetics for Anna Sui's 2015 Autumn Collection Theme, namely the Illuminating & Protective BB Cream and Loose Face Powder. We were invited to a live beauty demonstration where the Make-up artist showed to us how to properly apply the makeup with Anna Sui's latest addition..
Can't believe how time flies, the other time I saw Michelle, she didn't have the baby bump! 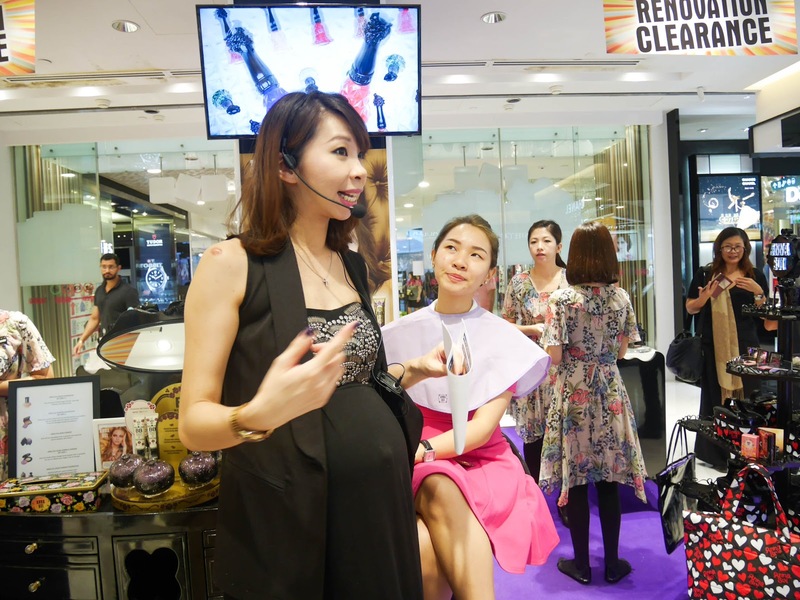 So here, Michelle is putting on the makeup for Ena using the Illuminating BB Cream ($39) as the base and Anna Sui Loose Face Powder ($65) as a finish touch. 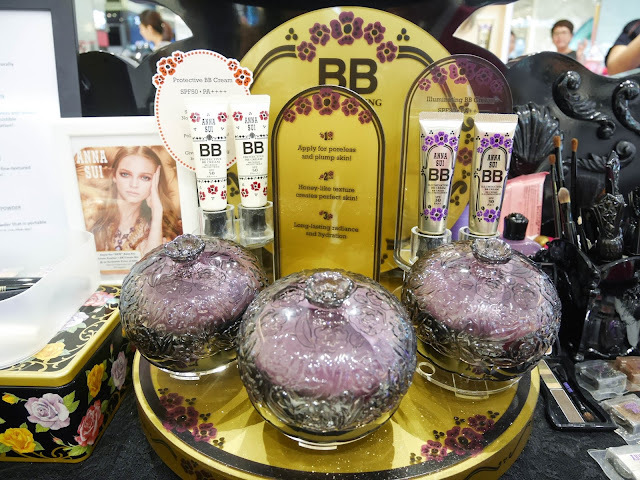 Anna Sui BB creams come in two forms - The Illuminating BB Cream (SPF30 PA++) and the Protective BB Cream (SPF50 PA+++). As you can tell from the sun protection factor, the latter has a higher SPF protection which means it can work as a sunblock, primer and also a BB foundation cream. The former (illuminating) has a lower protection factor but serves to provide a moisturising and creamy glow. Both BB Creams have two shades, light beige 01 and medium beige 02. The Anna Sui Loose Face Powder ($65) comes in two shades as well, namely 700 Light beige and 701 Natural Beige. I picked the Natural beige since I'm slighter darker. The third loose face powder is purple lucent (silver pearl) which is best to neutralise your skin tone and give you a more illuminating glow thanks to the pearl powder. So I gave the The Anna Sui Loose Face Powder a try and I thought the fine powder does mattify my face and keep the shine in control. 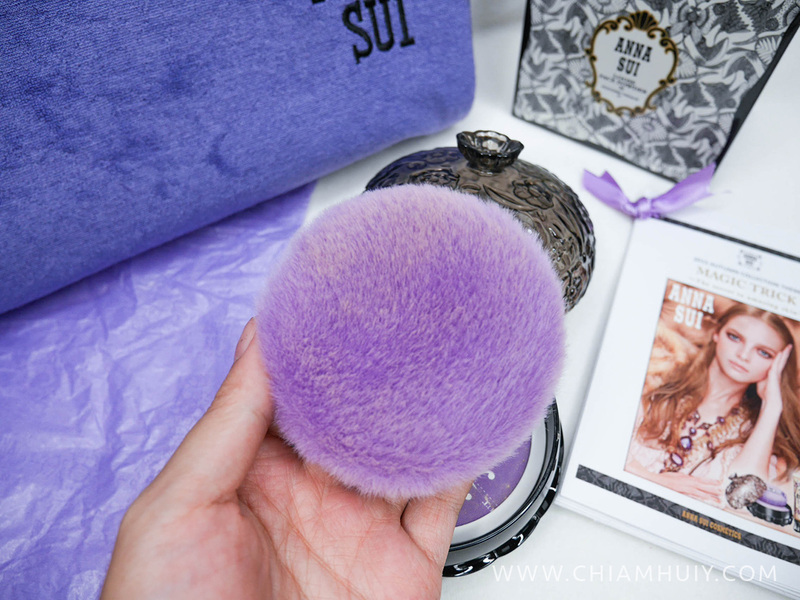 The big fluffy powder puff makes it even easier to pat on the powder sparingly just enough to rid the shine on my T-zone area. Both Anna Sui's Illuminating & Protective BB Cream and Loose Face Powder are already available and can be found at Isetan Scotts & BHG Bugis. 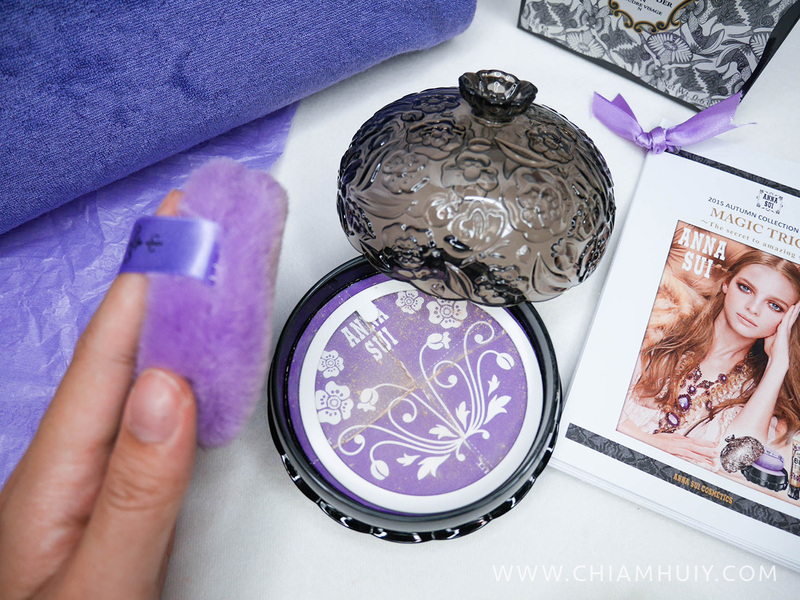 Thank you Anna Sui team for letting me try the product! Can't wait for the next launch.